In The Asterisk War’s eighteenth episode, Scrambling, Amagiri Ayato and Julis Riessfeld compete in the semifinals match. At the same time, Sasamiya Saya and Toudou Kirin continue the search for Flora Klemm. After his match, Ayato joins them in the field and takes a different approach. Amazon has some merchandise based on The Asterisk War. Check it out! Ernesta could not be more pleased with AR-D and RM-C’s development. Yet, that mysterious call with Dirk weighs on her mind… Capture from the Crunchyroll stream. Julis and Ayato take on two worthy opponents in their semi-final match. Kirin and Saya continue their search for Flora, though Saya gives into a moment of frustration that in the long run only strengthens her resolve. Ernesta Kühne and Camilla Pareto discuss their goals and the effects that Kirin and Saya’s match had on RM-C and AR-D. Ernesta in particular seems to have second thoughts about her conversation with Dirk Eberwein. Finally, after a brainstorming session with Irene Urzaiz, Ayato searches for Flora in a different area of the city, only to run into armed and sinister men. While trying to avoid them, he runs into a woman he’d never met before who offers to help him. Saya and Kirin continue their search for Flora in the run-down area of the city. So far, they have had no luck, and Kirin’s leg, injured during her last match, begins to hurt. The two of them resolve to carry on. Back at the Phoenix Festa, Ayato and Julis of Seidoukan Academy face off against the two representatives from Saint Galahadworth Academy: Elliott Forster (alias Claimh Solais) and Doroteo Lemus (alias Brightwen). Since this is a semi-final match, all of them expect the competition to be fierce. 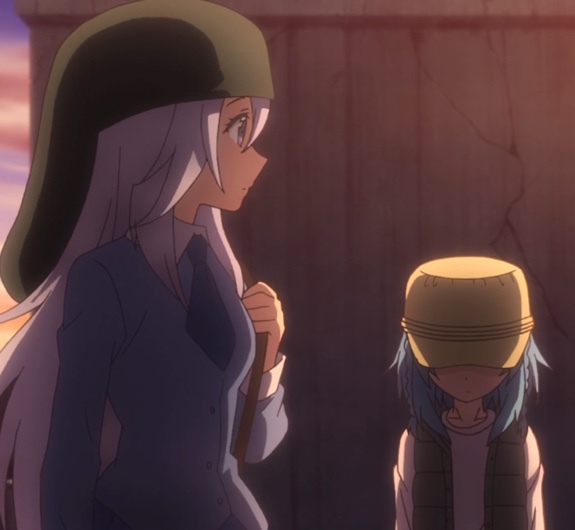 Julis is still shaken over Flora’s kidnapping, which she learned about in the last episode. Ayato can’t use Ser-Veresta, also because of Flora’s kidnapping. They remain determined, however, as the match begins. Julis decides to take on Lemus, which leaves Elliott, the swordsman, to Ayato. Lemus fought bravely, but he was not well-suited against Julis’ powerful flames. Capture from the Crunchyroll stream. 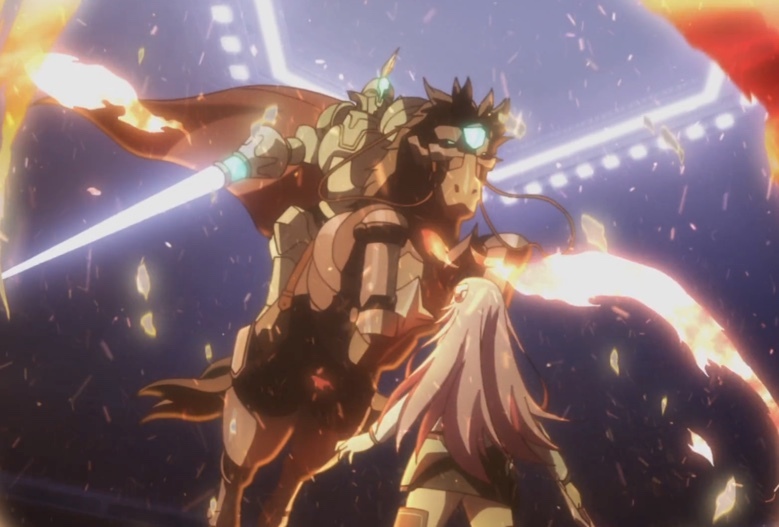 Julis immediately unleashes a firestorm against Lemus. However, he’d done his homework, and he was ready for her. His power is to project a suit of armor that repairs itself almost immediately. It also covers his school badge. To complete the image of a knight, he conjures a mechanical horse as well. Julis muses aloud that he’s going all out from the start; he said that he was going up against the Glühen Rose, so of course he was going all out. He charges Julis joust-style. Ayato, watching Julis and Lemus, was keeping his opponent waiting. After apologizing and stressing that he wasn’t trying to ignore Elliott, the latter charges. He’s fast; Ayato admits that he might even be at Kirin’s level. But Elliott is still very young; he hasn’t trained his will to be resolute. His sword reflects that lightness of volition. Moments later, Ayato slashed Elliott’s badge. Lemus continued charging at Julis. She pounded him with a variety of fireballs, some even exposing his school badge; but the armor always regenerated too quickly for her to followup. Finally, as he charges again, she hurls flame spears, which superheated his armor. Even though it repaired itself, his body couldn’t withstand the heat, and he collapses. Julis praises him for his recklessness as she sliced his badge in two. Julis and Ayato quickly exist the stage. The fruitless search almost gets the best of Saya. Capture from the Crunchyroll stream. Their search still fruitless, Saya and Kirin receive a call from Ayato, who tells them that he and Julis won their match and that they’ll soon join the two of them in the field. For just a moment, Saya’s control slips, and she cries frustrated tears. The two of them resume their search. Julis and Ayato enlist the help of Ayato’s friend, Yabuki Eishirou, to use his contacts to help them. Julis leaves to join Kirin and Saya; Ayato wants to pursue a hunch, so he arranges for a clandestine meeting with Irene Urzaiz. She has no hard data for him, but she has an idea: Ayato’s friends are searching in the run-down, lawless section of the city. The police sweep that area often. Irene suggests looking in a different area of the city, an area that is less lawless and more business-oriented. She suggests a particular area of town. Ernesta Kühne and Camilla Pareto, creators of RM-C and AR-D, have a little disagreement over their goals. Camilla wants to make a weapon anyone can use; Ernesta wants to make AI that’s so sophisticated, it’s considered sentient. They have so much affection and respect for each other that they get over their argument quickly, but both feel constrained by the conversation they had with Dirk Eberwein, who everyone suspect of being behind Flora’s kidnapping. Ayato begins his search in the section of the city that Irene suggested. He asks around, but no one will tell him anything. Then, he runs into well-dressed but sinister men who object to his questions and want him to come with them. As he’s trying to lose them, he runs into yet another group of them. That’s when a young woman with a cute hat boldly steps before him and offers to help. A helpful stranger? Someone else with an agenda? A new member of Ayato’s harem? 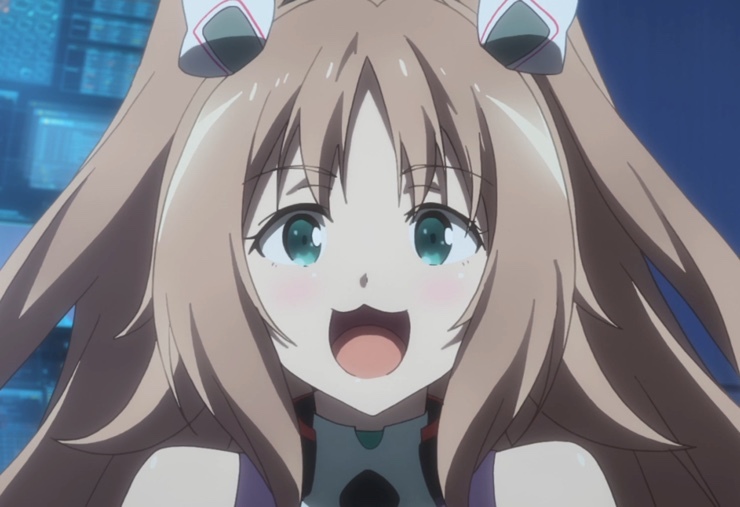 What will Julis say? Capture from the Crunchyroll stream. The effect of Lemus creating his horse was very dramatic: he punched the ground and drew the horse as if drawing a sword from the underworld. I had to admire Lemus’ respect for Julis when he said “I’m up against the Glühen Rose herself. Why wouldn’t I be [ going all out ]?” This was quite a contrast to the Li Twins, the previous foes, who were cruel. Ayato and Elliott’s fight was quick, but I thought it fairly represented the difference in their levels of experience. No matter how good the prodigy, a similar or even slightly lesser level of skill with greater experience will almost always prevail. I also liked seeing how they also treated each other with respect. Far from being a sign of weakness, showing respect is a sign of confidence and power. Kirin says she was glad to hear that Ayato and Julis advanced to the next level. Saya just says, “With Ayato, that’s a given.” I think it’d be awesome to have a friend like Saya! Powerful, independent, supportive, and non-nonsense. What’s not to like? Speaking of Saya, after she finished her call with Ayato, her frustration at not being able to find Flora overwhelms her. She can’t stop her tears. Moments like this, for me, are what set The Asterisk War apart from other school/harem dramas. Saya’s a strong, matter of fact character. She never shows that kind of emotion! But when she does, it’s really effective. 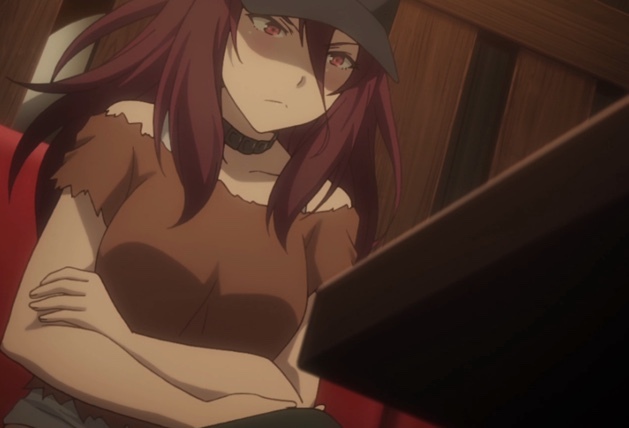 Irene wanted hard information to give Ayato, but all she had was conjecture… Capture from the Crunchyroll stream. I liked seeing Irene again. She and Ayato have a friendship that I enjoy: one of those mature, real-life kind of friendships where two people help one another and don’t get obviously tsundere (though Irene can at times!) or act shy or out of sorts. Again, like Saya’s control slipping for just a moment, this kind of thing sets The Asterisk War apart. I found Camilla’s backstory to be fascinating. She had lost half her body, but Ernesta rebuilt her with the same kind of parts she used in RM-C and AR-D. And though the two of them had almost contradictory goals, they found a way to work together. When I met them in the first season, I thought they were going to be villains. Their characters have come a long way; or at least the narrative has shown more facets of their personalities. AR-D asks asks that Ernesta let him keep the scar that Kirin gave him. He doesn’t want it as trophy, but as a reminder of how Kirin helped him grow as an individual. I’m a sucker for alternate forms of sentience. I’d rather cast a wider net to expand our understanding of independent intelligences. Seeing AR-D grow from his experience was a real treat; I also enjoyed seeing Ernesta’s almost giddy reaction to him. 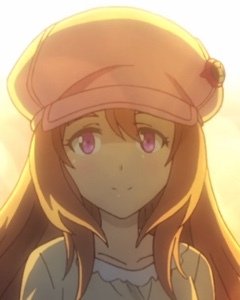 I’d be lying if I said The Asterisk War is amazing, or outstanding, or some other kind of superlative. It stays too close to the high-school competition/harem model for greatness. But within that context, I think it distinguishes itself through its character moments. Saya weeping, but only for a moment; Ernesta geeking out when AR-D and RM-C show initiative; Ayato and Irene working together to find Flora. Those scenes don’t take up more than 15% of the whole show, but they make the show worth watching for me. Of course, the battle scenes are enjoyable, the plot’s moving along at a good clip, and the themes are at least interesting. But those moments? Those keep me coming back.